What about you, what's your makeup inspiration? Se io fossi un po' più giovane andrei esattamente con il tuo make up, invece tutti mi dicono che ora sto bene solo con un filo d trucco. Lilli tu dovresti darmi qualche consiglio sai? Yes Lilli I recognize this as your signature makeup look! It's so classic, fresh and feminine all at the same time and it always looks beautiful! Happy new week dear friend! Tu sei una makeup artist Lilli, io ammiro sempre molto i tuoi trucchi! I like the pale face and eyeshadow that you put on. You are an expert in the cat’s eyeliner. Well done Lilli. Io non sono bravissima con l'eyeliner, però mi piace tantissimo metterlo! Adoro le labbra. Perfette! Have an anazing dat sweety. Yes! 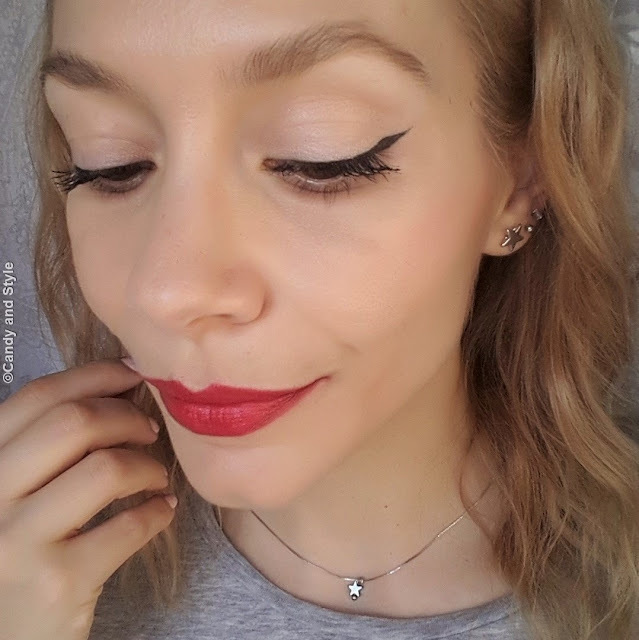 This type of makeup never fails, is simple and easy and very femenine, you look beautiful with eyeliner and coral lipstick, kisses Lilli. your everyday make-up is very pretty. Very clean but also with a little bit of glam. And i agreee with you, this make-up-look match with every outfit. I love this little line in out of the corner of your eyes. (I don´t now the english name fot it), but i can´t do it by my self. Beautiful. It seems to be such a lovely and classic look for you, Lilli.